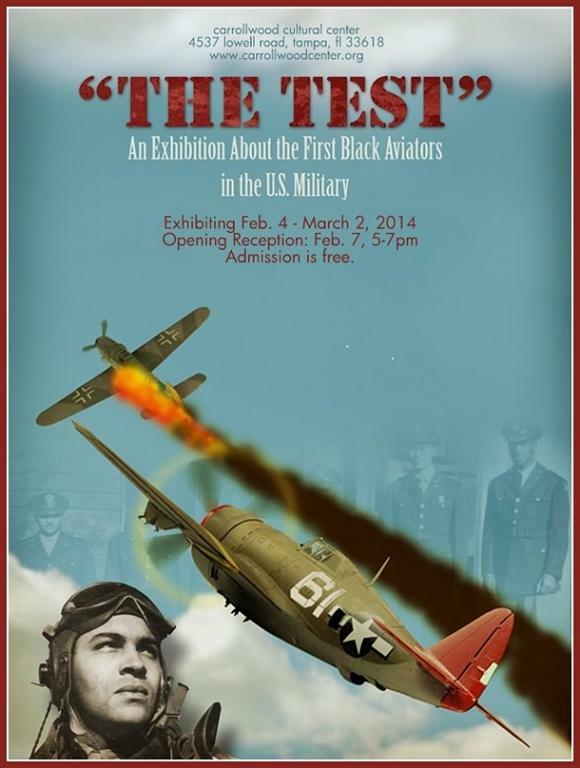 Tuskegee Airmen to life through photographs, carefully researched depictions of events, aircraft models, maps and graphics. Please join us for the exhibition at 4537 Lowell Rd., Tampa, FL c.
For more information, contact Artistic Director Richard Haerther, richard@carrollwoodcenter.org or call (813) 269-1310. See website: http://www.carrollwoodcenter.org/main-exhibits/.